What do you mean by a couple? I could still extend the base kit… a bit. Also, any interest for a Kobe kit? I had a hard time telling from the photo but will the desk mats be sewn around the edges? It’s not a photo but a mockup. I received the samples yesterday, will shoot that ASAP! I might be an idiot and missing this completely but have you released the pantones for this? When/Where will the RAMA caps be sold? And what is usual lead time for RAMA caps? Is the beige base color any close to L9? Not familiar with RAL colors. It's more warm, like a rose cream I'd say. Are there advantages to using RAL? What are the differences and why would someone use one over the other ? Better color matching. Can’t really go deeper but GMK told me that it’s more easy for them to get accurate colors with RAL references. what is usual lead time for RAMA caps? It's usually 5-8 weeks depending on the quantity. Is 160 the final price? Trail is as Nice as the set ! Have you found time to shoot pictures of the samples ? I will only have color samples after (or maybe during) the GB phase. I have already received the deskamts samples and some colors needs to be adjusted tho. Gonna shoot that this week-end! I should have specified I was speaking about the deskmats ! All right then ! Thanks ! Sorry for going deeper into this, but due to a very limited budget for boards this year I may be in the interest in pairing the small bars in your space bar set with OG Cherry. So I wonder if they go along well or if their colors are far apart. What are the RAL codes for L9 and your choice of Beige for the set? Is there any page where I can check them? Hey, planning on buying the nano bento as well but was wondering what is the use of the slider ? And Biip, do you know the guys at keebwerk ? Checked their insta and they don't seem to have ever released anything. They do a lot of renders but that's about it. Oh, I was asking to anyone who can answer me, not just Biip. I know he didn't design the nano. I checked already their Website and couldn't find any information ? Do you have a link please ? It says right in the description of the slider that it’s a potentiometer and can be programmed to anything, volume, brightness, etc. You can use the slider of the Nano for whatever you want (volume, brightness or any slider in Lightroom for example). The regular keys are for macro. Yeah, I even already met him! He received prototypes but I don't know when he will send the final products to the people who bought one when the website was released yet. Thanks for your answer biip, definitely gonna order one. Do you have any idea on the pricing of the Nano Bento? Idk if this was mentioned but are both or one Rama cap is being offered? I'm pretty sure both caps will be offered. why is the kobe kit so expensive? I've seen the burgundy alphas sold for 28 eur, on some sites (with aftermarket pricing). Considering the cost per keycap, I don't understand the price difference. 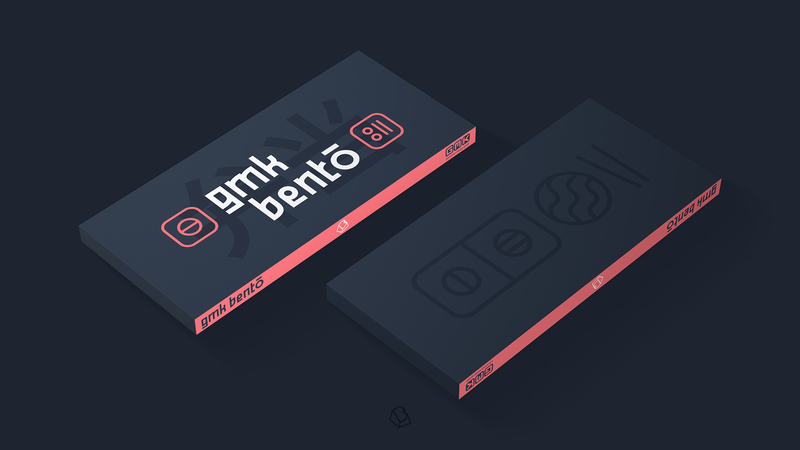 I think it has to do with Bentō using custom colors and Burgundy using standard GMK colors. Is it possible to get a render against something like pristine? Or some color swatch? Some of the renders look more white while others have a little pink hue in my eyes, so I'm having trouble figuring out what to expect. I second this. Really interested in see how the beige in this set compares with L9 or any similar color. i really like like this. would like those mats in blue with the icons. Some renders on colored boards (mainly dark blues, or blue cerakotes) might be nice away from all the silver and black renders. Oh yes, a dark blue board render would be a huge help for me as well. Have samples been received yet? Kinda disappointed, I just noticed the red spacebar isn't part of the base set. This looks really good, seems like you did a really great job with this biip. Best of luck with the group buy. The mats looks gorgeous! I'll definitely buy at least one of those. Page created in 0.11 seconds with 71 queries.